The Organ Dedication Sunday is on September 23 and the choir is gearing up for a big celebration! We are expecting a huge crowd, including former church members, as well as friends from out of the area .The choir is going to be an integral part of this service and we will have some special guests singing with us, too. If you would like to sing with us that day, please see Linda Teasley or Judy Viccellio. Sunday, September 2: 8:45 a.m.
Sunday, September 9: 8:45 a.m. The Arlington Session would review the candidates interested at their March meeting and make a determination. 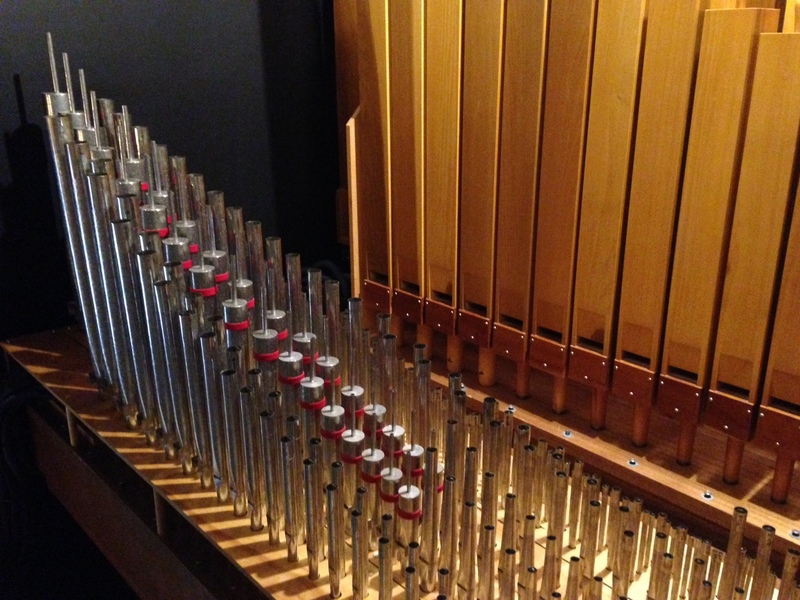 The organ is a hybrid instrument comprising an Ahlborn/Galanti model AG3200 installed in 2005, along with pipes from the church’s former organ, a 1978 Gress-Miles. The pipework includes 14 ranks and 854 pipes. Ralph Spoettle was the organ technician who could give us the details and answer our questions. 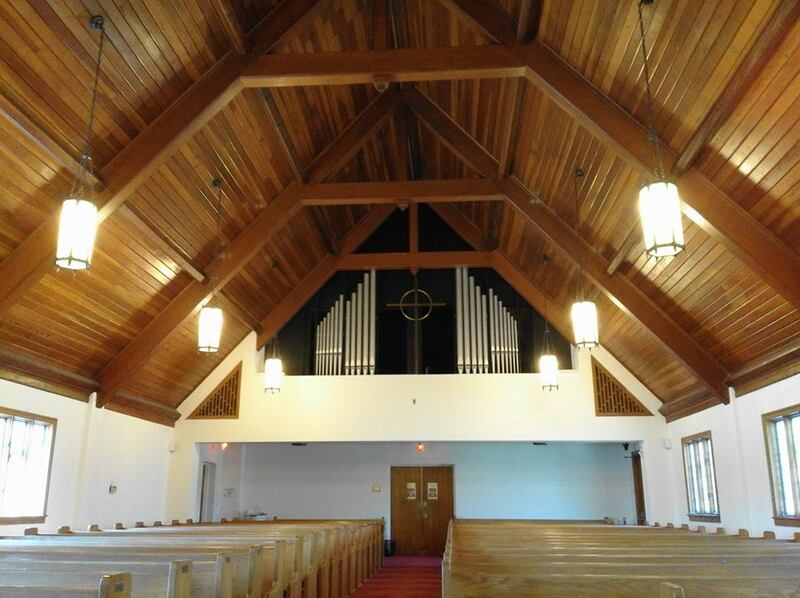 Ralph gave me the dimensions necessary to accommodate the pipe chambers for the organ. When John and I measured the Sanctuary’s balcony it was breathtaking to find a perfect fit for these 854 pipes. Feeling God at work in our midst we shared this news and took the next steps.A team of Elders gathered with the Pastor to prepare our letter of intent and answer the questionnaire given to us by Arlington’s Session. Our documents were submitted the first week of March 2016. On the Sunday after Easter, April 3, 2016, we got the call from Arlington that we had been selected to receive the gift of their beloved organ.With great thanksgiving and prayers for leadership the hard work began. Every step of the way the Calvary family came together to give their time, energy and special skills to bring our organ home. The physical move of the console and all 854 pipes happened on June 21st. By early July we had our digital organ in place for temporary use until the full organ and pipes could be installed.Architects, engineers, carpenters, electricians, construction contractors, asbestos remediation, consultants, more engineers, permits, inspectors, excellent organ technicians (Otto Pebworth and Ralph Spoettle) and two years later we were ready to have our pipe washing party. Once again, the family gathered and our work day was a tremendous celebration of faith in community at Calvary. Our organ is complete. Now, to the glory of God, we lift its voices and our voices in thanks and praise and worship for years to come. September 23rd will be an amazing service of celebration and praise as we usher in a new era of music and ministry!